Happy Friday! How has your week been? This week had some ups (sunshine) and some down (minor case of plantar fasciitis! ), but as always, I’m just happy that it’s Friday! Most running-related injuries are due to biomechanical irregularities such as muscle imbalances – which means you can prevent these injuries from happening with a little bit of preventative strength training. 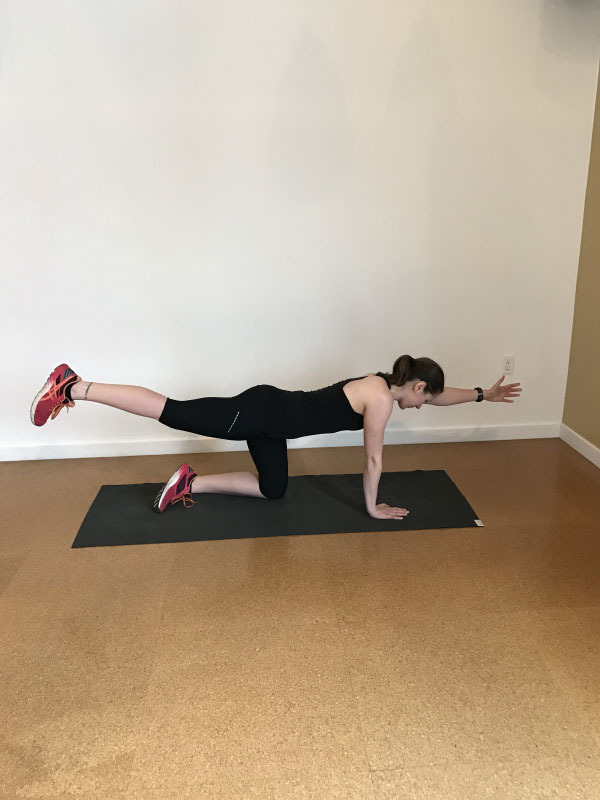 My latest post over at Runkeeper demonstrates 6 bodyweight exercises that you can use to prevent injury – no gym membership necessary. Bread, bread, and more bread. My sourdough starter is going strong, especially since the weather has warmed up a bit. Ryan and I are both obsessed with hummus, cheese, and veggie sandwiches for lunch right now, so I’m baking two loaves per week (!) – which is actually perfect because I am minimizing the amount of time my starter spends in the fridge. I’m admittedly obsessed with sourdough. I don’t think I can ever return to making bread with only commercial yeast. Bread is easier to bake, more consistent in its rise, and tastes better with sourdough – and, as Michael Pollan suggests, is easier to digest and improves gut health thanks to the fermentation. Meanwhile, Ryan has started explaining to our friends that the starter is our third pet. 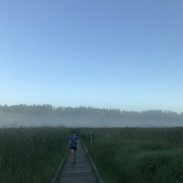 “Why Sometimes Running Without Racing is the Best Thing You Can Do” by Runners Connect. Allie (who many of you know from Vita Train for Life) wrote this article about what motivates runners who don’t race often and it’s well worth your read – whether you race often, infrequently, or never at all. In my first 6 years as a runner, I never ran an official race. I did a couple loosely-organized, not accurately measured, casual campus 5Ks with one of the service organizations I was involved with on campus, but I never actually raced. From my freshman year of college through my final semester of graduate school, I ran for the sheer sake of running. Even now, I only race 2-3 times per year – and I like it that way. 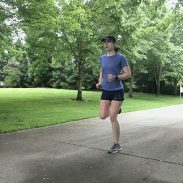 Allie suggests in the article that taking time without racing will actually help you improve as a runner by avoiding burnout and overtraining. I certainly believe there’s truth to that and ultimately, races as sole motivation can only keep you dedicated to running for so long. 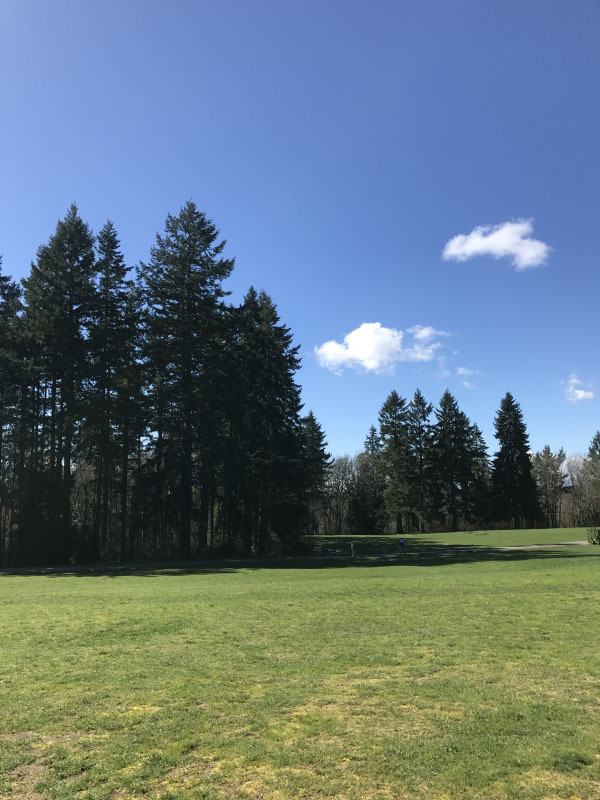 Now that spring has arrived and we are seeing less rain and more blue skies, I want to spend all day outside. On Sunday, after trail running at St. Edward State Park, we drank beers and soaked up the sun by our apartment’s fire pit for a few hours. After a week of working late and not seeing the sun for days, that sunshine was incredibly rejuvenating. 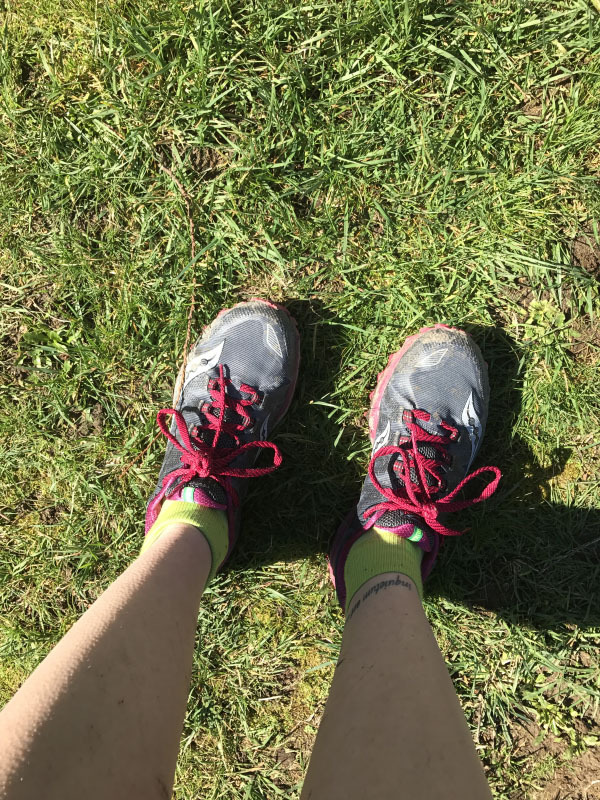 I have experienced some tightness in my heel on and off for a few months, and being a paranoid runner I succumbed to making a doctor’s appointment (i.e. Ryan kept telling me to go for peace of mind). It never hurt when I ran, but apparently the combination of tight calves, high arches, and walking around barefoot or in slippers most of the day (since I work from home) lead to a very minor, very early case of plantar fasciitis. Thankfully, I can still run (as long as I don’t significantly increase mileage) and I have a conservative recovery protocol of icing, stretching, and not walking around barefoot (even inside). I was just thinking how I needed some supportive Birkenstocks for summer, so I guess I should get those now. Do you like to race often or just a few times per year? How are you unwinding this weekend? Sorry that your heel is still bothering you. I still feel my foot/ankle or whatever it is but I don’t even know what to do about it anymore. I’ve seen 3 professionals about it and no one has been able to make any suggestions besides the stuff I’ve already been doing. I’ve been thinking about getting birkenstocks also. I’m a little jealous of your weather! Its been cold here again but Im hearing its supposed to warm up a bit this weekend. Thank you! I hope you are able to figure out what’s wrong from a doctor soon. And Backcountry.com has 20% off all full price items right now – you could get a pair of Birks for a good price! So many people say that they help feet issues so much that I think it’s well worth trying them. I’m so glad it wasn’t serious! I walk around barefoot at home too so wearing a shoe of some sort in the house would feel so odd to me. thankfully you caught it early and can do what the dr said to keep it at bay. Me too! It’s a good thing that I’m hyper paranoid about any weird aches! I’m going to miss being barefoot around the house though, but it’s worth it for healthy feet. Hey! Thanks so much for the shout out and for contributing to the article. I really enjoyed writing that one since it was such an interesting topic – especially as a runner who has always raced! Also – thanks for the tip on the apple bitter spray for StarFire – it works!!! Thank you so much for including my quote in such a great article! I really enjoyed reading that piece! Ooooh and I am so glad to hear that the spray works for StarFire! Lately, I haven’t been much of a racer. But in 2014 I did a local running series that involved lots of 5ks and a 10k. It was fun but it got to be kind of old after a few races. I’ve been tempted to do the series again but I seriously don’t want to race that often. And great job on being proactive with your PF! I highly recommend Birks for the house. I’d rather be barefoot but Birks are a good compromise. Have a great weekend! I can imagine a lot of short races getting old – those hard and short efforts can add up! And thank you! I ordered a pair of Birks for the house and I’m excited to get them! Boo to PF, but I’m glad that you got some answers. I still need some answers about my hamstring and why this keeps happening. I would love to go to a dry needling appointment, but that isn’t going to happen! Have a great weekend, Laura! I hope you get some answers about your hamstring! Interesting article! There was a similar article on Runners World about some runners who don’t race and what motivates them. 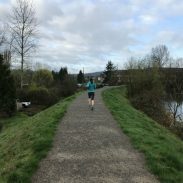 I was intrigued by one woman who said she does half marathon training plans but never does the actual race at the end, because she loves the feeling of working toward something but hates races. So interesting! You’re right that racing can only keep you motivated for so long. I’m experiencing that now as I’ve had no desire to train for anything all winter. I’m glad your case of PF is only very, very minor! Take it easy out there! Racing is a great motivator, but it is a very external one – while that feeling of working towards something is more internal. And thank you! I am taking it easy, although my biggest issue isn’t running – it’s being diligent about sitting with cold ice on my feet for over an hour total a day! PF is pretty rough so I’m glad you caught it early and it can be fixed by wearing different shoes. I also have really high arches and one is even higher than the other (hence, an orthotic). In fact that is one of the things that contributed to my current injury, unfortunately. I’m glad all of this happened AFTER your goal races at least and not when you were training or during it. Thank you! I tell my athletes about the difference that the shoes worn while not running can make, but I honestly thought that for myself, going barefoot most of the time would strengthen my feet. I guess not! I’m SO looking forward to the warmer weather this weekend! Yesterday it was 50 and I spent as much time outside as possible (after work). It made my run so much better and my day brighter! That’s great that you got to run in the spring weather! It really does make the days so much brighter! Yes to Birkenstocks! I wear them around the house as slippers. I can’t live without them! I ordered a pair of the sandals! I can’t wait for them to come. I remember in high school how much I loved my Birks! A few races per year is a good balance – it keeps races fun I think! 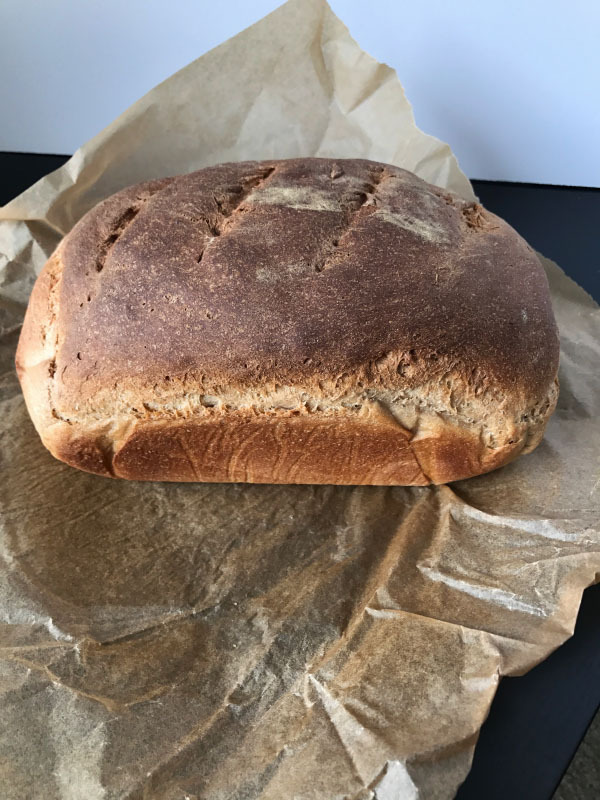 I love bread, I was raised on bread (–> Germans like their bread) and I’ve been baking at home ever since I moved to the US. I’ve worked with sourdough starters before, too. Would you share your recipe? All the bread was one of my favorite parts of studying abroad in Germany! I used the King Arthur recipe for sourdough starter and then an adapted one for the bread – 16 oz. starter, 11.5 oz of flour ( a combination of bread – 4.5 oz – and whole wheat – 7 oz. ), 4 oz warm water with 1/2 teaspoon yeast, 1.5 teaspoon maple syrup, and 1.5 teaspoon kosher salt. I should share the full steps in a blog post this week! Glad you got an early pf diagnosis- it’s always better to know so you can plan accordingly and not increase and regret it. Hope you had a great weekend! Thank you! Sourdough is fantastic – I’m glad you get to enjoy it. And thank you! I hope you had a great weekend as well!